CoalesCo is a management services company whose expertise is managing today's IDNs transition from the current supply chain construct to self-reliance. We possess decades of experience in all facets of the healthcare supply chain, including group purchasing, healthcare supply chain consulting, supply distribution and healthcare materials management. With our keen understanding and insight in all of these areas, we recognized that the current supply chain has fundamental flaws that prevent health systems from optimizing their supply expenditures. CoalesCo has proven that a health system's over-reliance on 3rd party contracts keeps them from realizing substantial supply chain benefits. CoalesCo was founded in 1996 in response to the growing number of health systems that are not satisfied with status quo and are looking for practical solutions to their supply expenses. Our innovative approach to supply chain redesign has assisted our clients in realizing supply cost savings of 12% - 18% traditionally hidden in the supply chain. We believe that healthcare organizations should create an adjunct supply strategy that enables that organization to further reduce it's supply costs, create new revenues, and allow for contract flexibility that will satisfy the clinical needs. We believe that the creation of your own Regional Cooperative will give you the tools necessary to control your own destiny. We prefer to work with select healthcare clients that will receive individualized programs and services tailored to fit their needs. We believe and have proven that bigger is not necessarily better and therefore national scale is not necessary. Frequently, it is a hindrance. We have truly found the keys to unlock the benefits hidden in today's supply chain and will do so regionally, one IDN at a time. 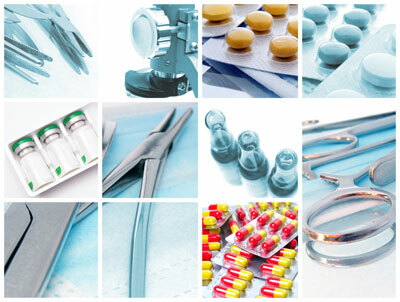 CoalesCo has successfully developed and implemented the next generation of healthcare supply chain strategies. Our customized approach allows large health systems to realize substantial savings in supply expense while being sensitive to the needs of your physicians and clinicians. CoalesCo doesn't believe a health system derives its greatest benefit by accessing only standard, boilerplate 3rd party contracts. Contrary to conventional wisdom, we have proven that customized supply and distribution agreements developed specifically for a health system, sensitive to local competitive circumstances and clinical requirements, can and will provide significant financial benefits. By understanding the manufacturing community and today's healthcare system, CoalesCo's expertise in system redesign and change management will develop a unique contract portfolio that meets the clinical needs and financial goals for our health system clients. The CoalesCo approach is designed for those systems that want to be leaders in their community, develop cutting edge supply chain strategies, and acknowledge that fundamental change is needed. CoalesCo understands the financial pressures facing all health systems in America. We are committed to delivering hard, tangible savings to our clients in furthering their mission. Success requires not only the commitment of CoalesCo to your organization, but the commitment and conviction of your entire staff from CEO to staff nurse. Through this shared commitment, our programs and services will help you realize savings not attainable in a status quo environment.